For Alex Fransen, providing impeccable service in landscaping has been a lifelong vocation, and he has a drive for it that is entirely unparalleled. If you could turn back the clock 21 years, you would find him at 13 years old, assisting his older brother in maintaining golf courses. The goal wasn’t that of the typical teen, planning trips to the mall or the the movies. Rather, Alex was raising money for his first lawn mower. He honed his skills at the country clubs, developing his craftsmanship to raise enough to purchase a commercial mower. 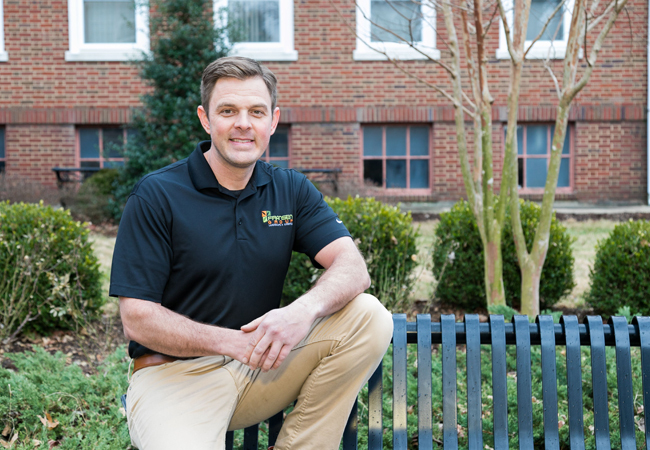 He would get up early, long before his first class at Western Kentucky University (Where he studied turf and horticulture), just so he could do landscaping work. He would then turn around and get right back to it after class. Check out www.fransengroup.com & www.derbycitypools.com and get your outdoor space the best it can be with the most dedicated service you could ever imagine.